Chie’s goal in designing footwear is to create styles that are feminine, fun, and truly comfortable. Every Chie Mihara shoe features an anatomical footbed that Chie designed specifically to accommodate a woman’s foot. Chie Mihara launched her shoe line in Elda, Spain, in January 2002 to offer women something different, footwear designed by woman for women, with a priority placed on design and comfort. "we're mothers, working women, active women!" she said, "and we should have shoes that match our needs. We want to look feminine, beautiful, attractive but without giving up comfort". Drawing on vintage influences ranging from 1930s femininity to 1980s humor, she began taking details from the past and reworking them to reflect contemporary esthetics and modern fashion. Her distinctive footwear quickly gained a following devoted to Chie's unique approach to comfort and style. 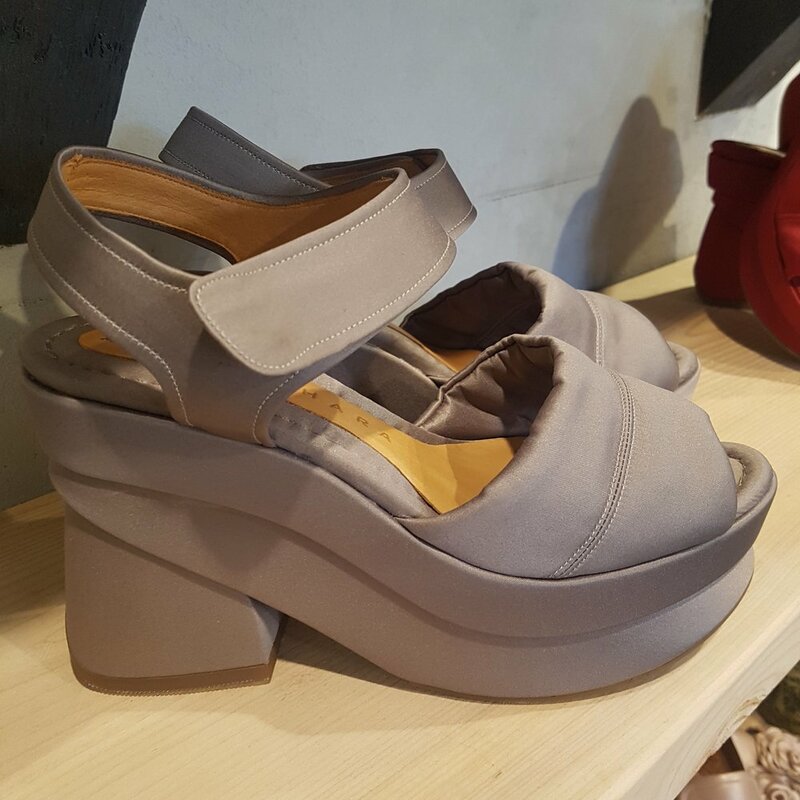 She draws on facets of her multicultural background when creating her collections: Brasil shows the feminine side; Japan influences her design techniques; the U.S. contributes practicality and comfort; and Spain is the source for the high quality of shoemaking. Chie wants women to visually and emotionally connect to her shoes, while she takes care of the practical side with careful attention to comfort and craftsmanship.